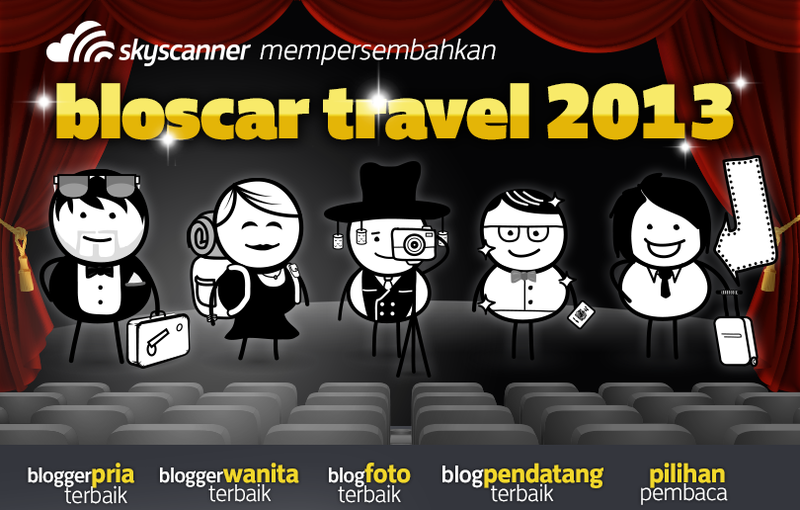 Well during my trip in Sydney, I got a very surprising email from Skyscanner, telling me that I am being nominated for ‘Blogger Pria Terbaik’ or ‘Best Male Blogger’ in Bloscar Travel 2013. That email was really made my day! This is my first nomination for any awards since I started my blog in November 2011. Nice isn’t it? Yes it is 🙂 (I have put the badge of Bloscar Travel 2013 on the right-side of my blog page). This voting period is from 15 January 2013 until 18 February 2013. If you’re Indonesian, please do vote now, and you can get a chance to win a Kindle Fire! If you’re not Indonesian, below is the guidance on how to vote for me 🙂 Unfortunately you can’t get the Kindle Fire if you’re not Indonesian, but … I still need your vote :). – After you finished, then you need to fill in your name (first name, and surname) and your email address. If you’re done, just click ‘Kirim’ (or ‘Send’). Sebelumnya saya sudah pilih blogger wanita. Tadi saya coba ikutan lagi untuk pilih Timothy ternyata ga bisa dengan alamat email yang sama, jadi pakai email satunya lagi. Semoga menang ya! :).